Mercedes-Benz has never needed much encouragement to go toe-to-toe with BMW, especially when it involves high performance cars. Yet, despite 30-odd years of effort, it has never built a super saloon that can match the M3. Can the new C63 AMG finally lift the Bavarian curse? 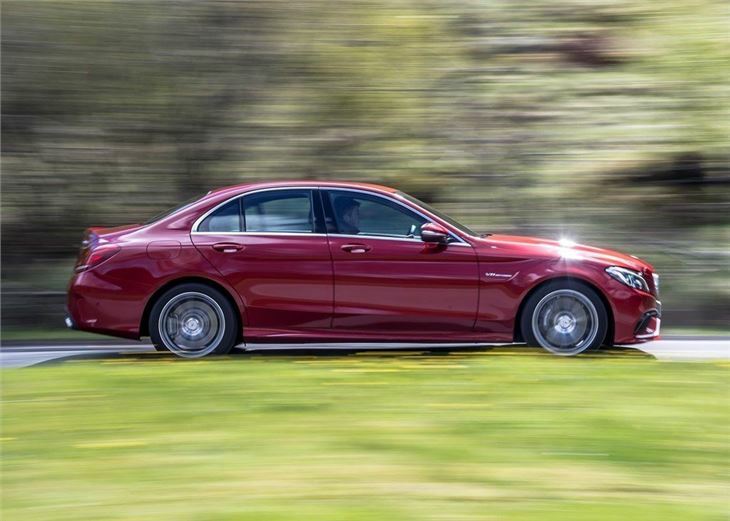 Beating the go-to performance saloon is no small task, so Mercedes-Benz has raised its game with the second-generation C63 AMG, with some notable changes. 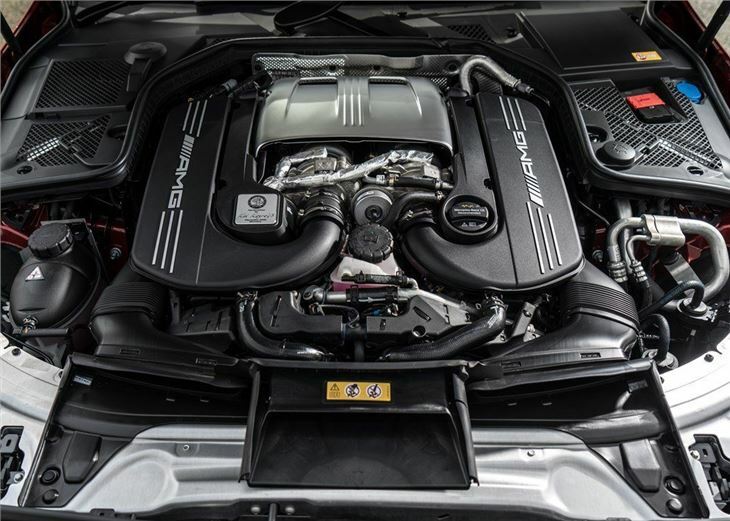 The brilliant and naturally aspirated 6.2-litre V8 has been replaced, with a lighter and more efficient twin-turbocharged 4.0-litre V8. The C63 also gets a new chassis, with improved suspension and running gear, while a limited-slip differential is now fitted as standard. 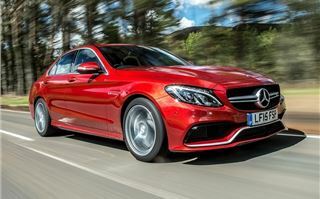 As a result the C63 is brutally quick and the standard model will clear 0-62mph in 4.1 seconds, with 476PS. Torque is plentiful too, with 650Nm available from 1750rpm to 4500rpm, which means the engine has a wonderful power band that starts almost from the moment you touch the throttle. If you're the type of person who scoffs at 476PS then an S model is also available, with a considerable 510PS and 700Nm of torque. 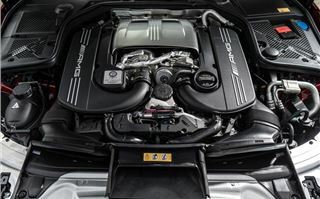 Regardless of which model you choose, performance is outstanding and the turbocharged V8 retains much of the throaty character of its predecessor, with a deep and thunderous soundtrack that can be enhanced to ear ringing levels with the optional AMG exhaust system. 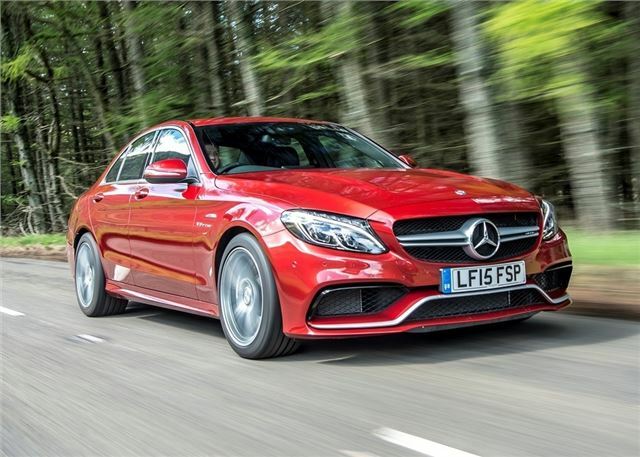 As well as a new engine, the second-generation AMG gets an updated seven-speed automatic gearbox, which snaps through the gears without the hesitation that bugged the old 'box. Refinement and finesse were problem areas for old C63 AMG, but this has been addressed with the new suspension and limited-slip differential. As a result the latest C63 feels impressively composed in the corners, with more grip and better traction, especially when exiting a tight bend. Although the rear wheels will still kick out in protest, should you overdo it. 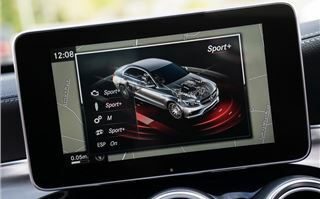 The handling is customisable, with three ESP settings and four drive modes, which lets the driver tailor how lairy they want their AMG experience to be. In race mode the C63 is blisteringly fast and the limited-slip diff improves the handling no end. 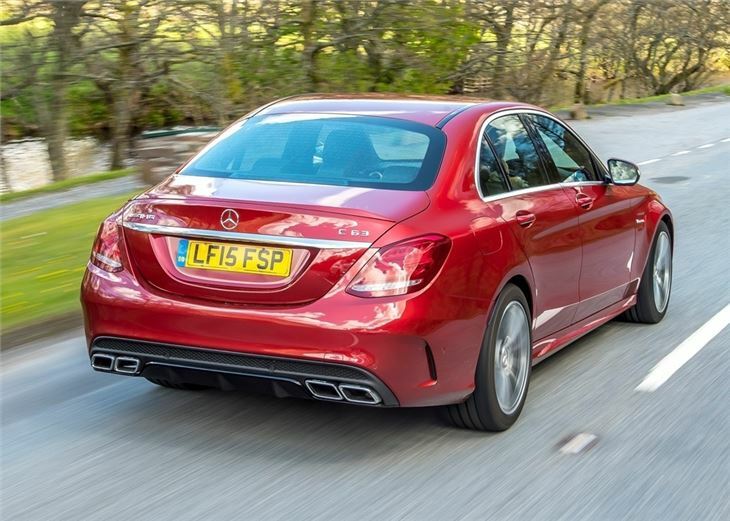 However, in comfort mode, the C63 takes a more serene approach and doesn't feel too dissimilar to a standard C-Class, which makes it an accomplished motorway cruiser. Weighing 1715kgm, the C63 AMG is a heavy car, but it hides its portly dimensions well, thanks to speed-sensitive steering and powerful brakes. But the ride is very hard and some will find its harsh nature to be too much for them and their chiropractor to bear. 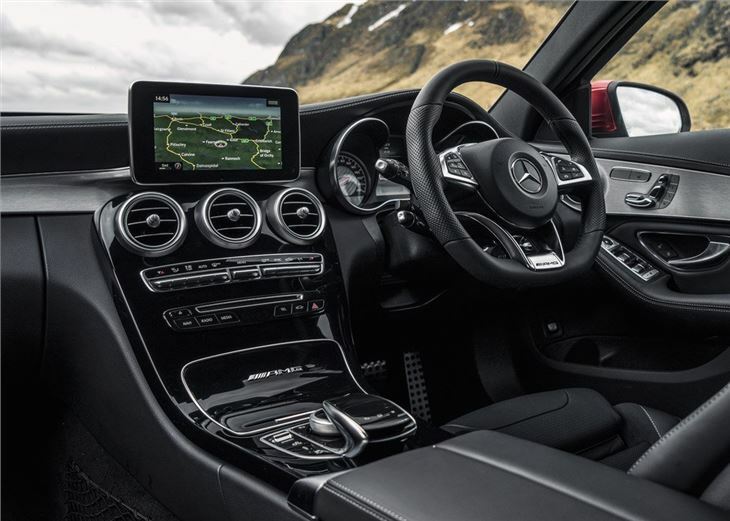 Like the standard C-Class, the AMG gets a modern and sophisticated cabin with some nice detailed touches, like circular air vents, aluminium trim and a touchpad that's integrated into the centre arm rest. 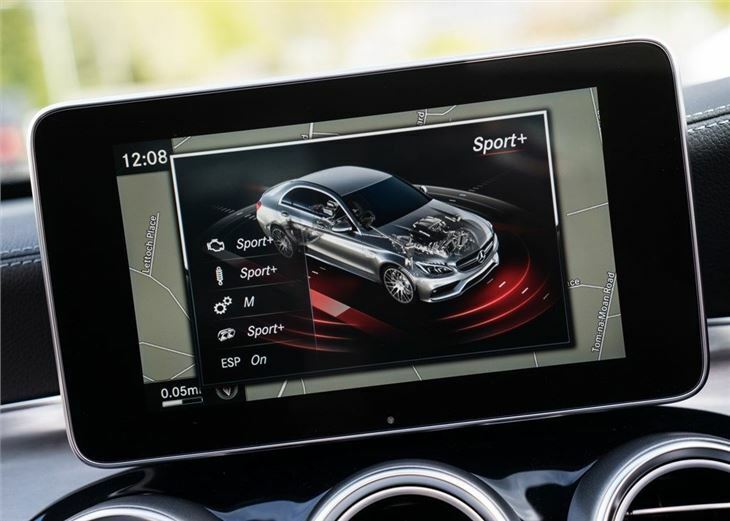 The infotainment system is also easy to use, thanks to a large 8.4-inch central display, which makes it easy to select radio stations, media or adjust the car's set up. The C63 also has a decent boot, with 435 litres that will take large suitcases and a set or two of golf clubs. It will also easily return 30mpg, when driven sensibly, while emissions are a palatable 192g/km of CO2. 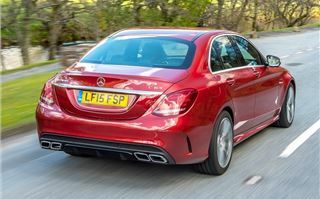 It looks almost identical to the standard C-Class, with a low key approach taken to the exterior, which will reassure fretful owners who might worry about parking their £60,000+ super saloon at the local supermarket. So, the Mercedes-Benz the C63 AMG is a big improvement, but is it a match for the BMW M3? Well, no, but it comes mightily close. The second-gen model is better than its predecessor on every level, but it still lacks the precision, the grip and the finesse of the M3. What's more, the BMW is cheaper. 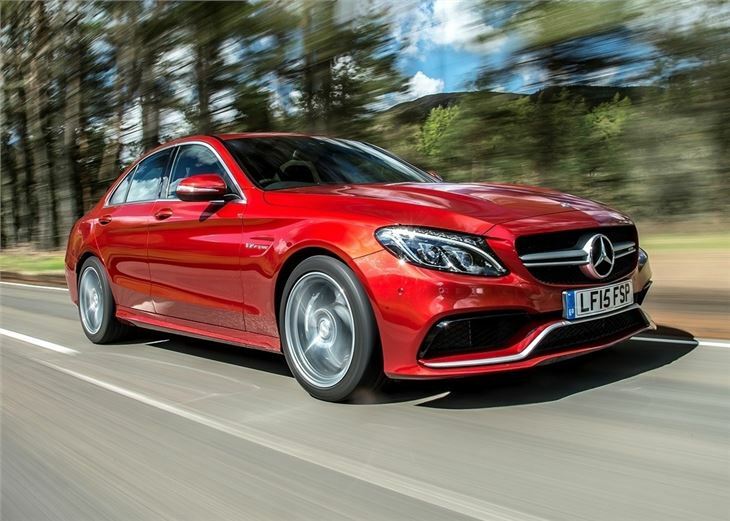 That's not to say the C63 AMG is a bad car - because it's not. 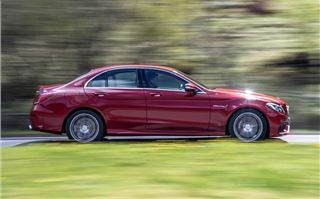 In truth, the Mercedes-Benz does everything expected of a super saloon, with outstanding acceleration and handling. But small fractions make all the difference at this level and Mercedes-Benz has to work a bit harder if it's going to pip the M3 to the super saloon title.